Even though there are several definitions of brand equity and multiple methods of measuring it, one thing is accepted as a fact by all marketers, it is very difficult to measure. Brand equity has a qualitative and quantitative component, both of which have been source of interest for academicians and marketers for a long time, but until now no widely accepted forms of measurements for both have been developed. Brand equity, simply put, is the tangible and intangible value of a brand driven by its recognisability and perception. The more positive the recognition and perception levels are, the stronger the brand equity is. The opposite is necessarily not true, but perception has a stronger impact on brand equity, so more negative the perception lower is the equity. A brand with low recognition levels does not necessarily have lower brand equity. It is at a stage where brand equity formation is sub-optimal because enough people do not know enough about the brand to have any opinions about it. This is common for all brands in the early launch stage of their life cycles. This becomes a challenge when a brand fails to build up enough recognition levels to create a platform for the initial formation of brand equity. This, in most instances, can be driven by marketing and communication efforts and influenced by direct brand experience. What are we supposed to manage? The principles of successful brand equity management start with a strong sense of understanding of the brand’s standings in the hearts and minds of the consumer. Even though it is difficult to measure the quantitative impact of brand equity on brand financials and the softer aspects of status, luxury, warmth, prestige etc., it is still important that brand managers know what their brands stand for in isolation and also vis-à-vis competition. It is important to highlight at this stage that a measurement of the current state of brand equity should not have an unnaturally high level of influence on what the brand should be or should stand for. The current state assessment is a check to establish how close or how far are organizations and marketing leaders from the goal of establishing the brand on the intended positioning platform. The current state assessment acts a crucial guideline for developing the strategy for brand equity development and management. Global organisations are increasingly putting into practice research driven frameworks for measuring and managing brand equity. In the majority of these research programmes, both exploratory and validation, the objective is to explore, measure and monitor the brand’s standings on key positioning parameters, which are core to the brand’s identity. In terms of best practice and for giving key organisational stakeholders a compass for the brand’s direction, annual benchmarks and targets are being applied to measure the brand’s strength on these key positionings. In the absence of any scientifically proven way of measuring the softer side of brand equity, comprehensive research around consumer articulations of what they think, feel and express about different brands are the next best bet. The fact that measuring brand performance on key positioning parameters is now an established best practice in majority of organisations is a positive development. But, the primary aspect that is missing in these brand equity tracking and measurement programmes is the ability to take on board the evolution of the brand. It is a measured hard truth that brands evolve continuously in the eyes of the consumers, driven by proactive brand building efforts and by consumer reactions to marketing and communication initiatives, and influenced by multiple external events often beyond the brand’s control. Any form of brand equity management should have brand evolution at the heart of its strategy. These distinctions between proactive and reactive brand equity management drive best and sub-optimal practices and processes towards the same. In short, the primary reason for organisations to engage in best-in-class or sub-optimal brand equity management is the presence or lack of understanding. There is a fundamental aspect that leads to this incomplete understanding – brand equity is a long-term aspect and not a short or medium-term one. Any organisation that has successfully managed and strengthened equity of its brand has an in-depth understanding of the long-term and continuous nature of the task involved and also the mindset change that is required. The essence of the whole process is that organizations and marketing leaders need to have superior brand management practices in place to influence and strengthen brand equity. Ultimately, strong brand equity is an outcome of best-in-class, consistent brand management practices over a sustained period of time. For any such research programme to work effectively it should be designed to be relevant and future focused and the inputs for measurement a true reflection of the brand’s current and proposed future standing in the category. The importance of getting these brand metrics measured accurately is very high because these programmes are the only recognisable and standardised forms for measuring brand equity. Additionally, brand performance results are increasingly getting integrated into brand planning and management cycles, advertising and marketing communication budgets are being decided and broader strategic brand management and strategy alternatives are being highly influenced. Ability to break down brand strategy into elements that influence brand equity: Brand strategy is a broad domain that encompasses setting the current scope and future direction for the brand. Consequently, many of the components do not directly or indirectly influence brand equity. Organisations need to remember all the time that brand equity is an outcome of doing other things correctly over a long period of time. From a strategy perspective, it is only the management of the brand’s positioning in the market, which should influence brand equity. 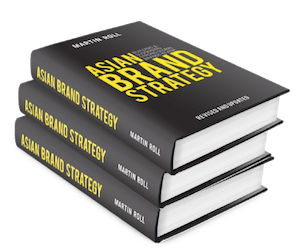 Other elements of brand strategy, which include brand architecture, brand guardrails, operating models, go-to-market models, innovation strategy, visual identity design and brand identity do not influence brand equity directly. They help establish a sharp positioning, which is required for a strong brand equity standing. It is important to correctly frame the brand’s positioning that is intended to influence brand equity. This framework should then be consistently used internally within the organisation and also externally with all service providers, partners, management consultancies and marketing agencies working with the organisation. Essentially this means a clear and standardised articulation of the brand’s positioning in strategy briefs, creative briefs, PR briefs, research briefs, sponsorship briefs and also any form of digital and social communication briefs. The work being done across these multiple marketing and communication channels should all be focused towards a synergistic target of strengthening brand equity. Internal and external organizational alignment is critical to extract maximum impact from marketing and communication campaigns. Consistent disciplined approach rather than a sporadic reactive one: There are always going to be situations when urgent brand building initiatives need to be implemented. But to be able to have a sustained positive impact of brand equity, the underlying brand building and management efforts need to be consistent and disciplined. For example, a continued emphasis on a brand’s key differentiating elements in every form of marketing and communication initiative over a long period of time leads to positive impact on brand equity. By nature, the concept of building brand equity is one that requires sustained efforts over time. Recognition levels may get ramped up quickly as distribution expands and visibility increases but brand perception needs time to build up. Building positive brand perception requires the brand to move up and head in the brand funnel. From an awareness driven initial existence, the brand will now look at generating repeat experiences, building preferences, creating positive perceptions and creating sustained loyalty. All these aspects will impact the development and sustenance of brand equity. To be able to develop any of these requires a sustained effort on part of the brand management team and the C-suite. To create highly impactful experience, the brand needs to consistently deliver or exceed expectations. It needs to generate a uniform experience across multiple touchpoints. For building preference, there needs to be a consistent, differentiated and impactful series of marketing activities and brand communications across multiple touchpoints. Perceptions develop in two ways – through direct experience and through indirect brand personality development. Both of these require long and sustained efforts to enable the brand to cut through the clutter and enter the purchase set. Loyalty is even more challenging and time consuming to develop and requires a superior performance and perception that has the ability to withstand continuous competitive pressure, changing tastes and preferences and rapid category and segment evolution. Consequently, building and managing equity requires patience and continuous, sustained involvement from the C-suite, marketing leaders and all functions across the organization. Knowing, predicting and creating consumer trends: It is a known fact that knowing the customer is critical for the success of any brand. But in today’s hypercompetitive world, it is about knowing not only the present customer, but also the future one. An excellent example of this in practice is the fashion and luxury industry. All successful brands in this segment have evolved by continually predicting or creating trends. Fashion brands create products fashion consumers want to wear “next”, while luxury brands create products that people want to be able to aspire to as the next level of prestige and status. This continuous ability to create future trends comes from an in-depth understanding of evolving needs and preferences. Cultural, socio-economic, geopolitical, lifestyle and competitive trends are all crucial to understand effectively in today’s market places. Understanding of factors that impact current behavioural trends and will shape and influence future ones is critical for developing positioning platforms for the brand. The more the differentiated positioning is in line with evolving needs and preferences, higher the chances of brand success. This in turn will positively impact brand equity. Trend analysis has slowly become an important strategic tool in brand strategy formulation and will continue to play a significant role in guiding organisational level innovation processes and for future evolution of brands. Going beyond numbers: Though it is important to measure and monitor brand standings on key positioning attributes and other metrics that drive equity, brand managers should have the ability to go beyond numbers. This is critical because of the inherent, incalculable and soft nature of some of the aspects that drive brand equity. More recently, factors like the emergence of ecommerce, social and digital marketing, non-linear and complicated purchase processes and the explosion in word-to-mouth marketing and social media have made brand equity building a complicated and challenging task. This in turn has impacted the level of confidence that marketers have on typical brand metrics and their ability to create a true picture of the brand’s performance. A constant exploration of the consumers’ mindset, needs, preferences, tastes and beliefs is required to stay ahead of the curve. The softer connotations of brand equity that get reflected like aspects like status, prestige, power and appeal are strongly driven by brand touchpoints, connotations from the brand’s communications, who it communicates to and how it communicates. Targeted and niche positioning is increasingly becoming a popular practice among brands who want to operate in a specific segment of the broader market. For these brands, going beyond the numbers is as important as reading the numbers. Brands invest millions to create standardised experiences, and in many cases, at a premium or super-premium level, customised experiences for each of the brand’s customers. Customer Relationship Management (CRM) programmes will provide brands with the necessary inputs on how different initiatives are performing, but the real measurement of brand performance will lie in the conversations that the customer had with the salesperson at the showroom or the small word of gratitude expressed by a customer to an airline who just made his or her day. Mass-market organisations are increasingly turning towards social listening to capture these conversations. Online forums are rich with brand reviews, criticisms, recommendations and word-of-mouth marketing. The wealth of big data, a majority of which is highly unstructured (like any form of human communication), is increasingly being analysed by social listening tools and platforms. Understanding inflexion points: Successful brand management, which influences brand equity, knows and acts on crucial inflexion points. Inflexion points are timelines in the brand’s history where strategic and crucial decision-making can influence the brand’s journey and put it on a new path of success. This is crucial for strengthening or maintaining strong levels of brand equity. Becoming staid after having reached a dominant position in the segment you operate in is a sure sign of decline for a brand in the future. The ability to act on inflexion points links up directly with a brand’s need to continually evolve. Brand evolution is not a whimsical process but a very strategic one. All successful brands that have evolved to broaden their offerings, refresh their positioning, enter new markets and operate in different segments, always keep in mind the fact that their brand equity will be a driver of this evolution. But they also have strong realisation of the fact that brand evolution can either strengthen or tarnish brand equity. Hence, selecting and acting on specific inflexion points ensure long-term brand success and strengthen brand equity. Successful brand equity management requires a balanced and strategic understanding of the brand’s positioning and direction in the categories and segments it operates in. Strengthening or maintaining brand equity requires broad-based decision-making rather than focusing only on disparate elements. The most tangible and visible aspect of brand equity management is the long-term nature of the practice and the fact that it requires continuous investment. Since strong brand equity is an outcome of superior brand management practices, it is critical that organisations ensure that brand management is a centre of excellence within the organisation. Building brand equity is also a strong, collaborative venture across the entire organization and across all stakeholders. A brand manager in isolation cannot achieve it nor can it be achieved solely by the organisation. It requires uniform thinking and consistent process-driven action by all stakeholders who are responsible for brand management – both internal and external. There should be a continuous realisation that equity is an ever-changing aspect of a brand and looking at it only from a numbers perspective does not provide answers that are required. Achieving the highest ratings on a set of key brand positioning attributes may be a short-term sign of success but over a longer horizon, what those numbers will mean for the brand’s future success is what matters. Hence, there is a need to go beyond numbers and into understanding customer conversations at every viable brand touchpoint. In today’s complex and hyper-competitive marketplaces, maintaining and strengthening brand equity is a need not only for the most established of brands, but for any new brand entering a category or segment. Brand evolution life cycles are shorter and brands are reaching the phases of decline or continued success much faster than before. Hence, the need to understand and maintain brand equity is stronger than before.